Mr Music Man Kojo Antwi has called on Charter House and Dancehall King Shatta Wale to ceasefire. This follows the suing of Shatta Wale by Charterhouse for alleged slander and damages of GHC 10m approx $3m. The Maestro Kojo Antwi also advised President Mahama to crack the whip to get the spiralling corruption in the country in check. 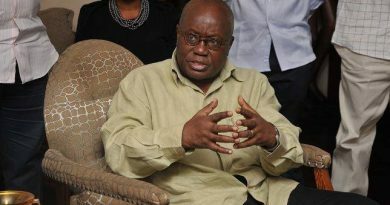 According to the Maestro, the repeated reports of corruption in Ghana is becoming disturbing. 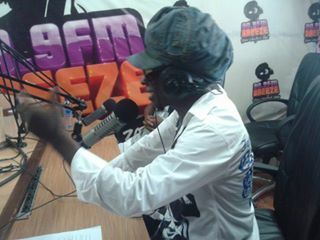 Kojo Antwi was speaking on Breeze FM’s Showbiz Today hosted by Ekow Puncho. Describing the President as a friend, the Maestro noted that although the President was doing well, he needed to up the ante as far as his fight against corruption is concerned. Kojo Antwi was speaking on Breeze FM’s Showbiz Today hosted by Ekow Puncho in a no holds barred interview . 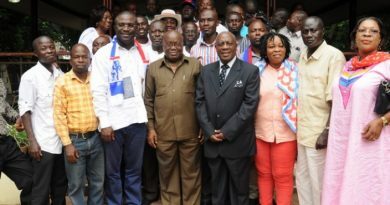 The Maestro also advised the leading contenders for the New Patriotic Party Nana Addo and Alan Kyeremanten who also described as his friends to be mindful of their actions since it would be detrimental to their party as well as our fledgling democracy. Describing himself as a political animal, the Maestro noted that as long as we engage in the day to day business of life we are all affected by politics. He quickly indicated that although he’s a political animal, he wouldn’t contest for an elected political office since the whole Ghana is his constituency so he does not require a political platform to communicate with people. Touching on the Ghanaian music industry, the Maestro called on all and sundry to throw their shoulders to the wheel to get our music industry on the right footing. Kojo Antwi was of the opinion that the current state of our music is reflective of us as a people hence the concerted effort to get it right. The Maestro also took listeners on a musical trip back in town as he spoke about his first performance with the Parrots under Kofi Ani Johnson’s tutelage, his time with J.K and the Boom Talents as well as his time with the Classic Handels and Classic Vibes as well as the Vibes trip to Denmark and his subsequent sojourn in Europe. Meanwhile the Maestro is preparing for this year’s Legends and Legacy Ball which is slated for November 1 at the Accra International Conference Centre.